A great educational event about the diversity of one of the most fascinating wine counties in the world: SPAIN! Enjoy 6 masterclasses with tastings presented by experts and producers, taste over a hundred of Spain’s best and most interesting wines, enjoy delicious local food, meet up with other wine lovers and professionals from all over Europe. 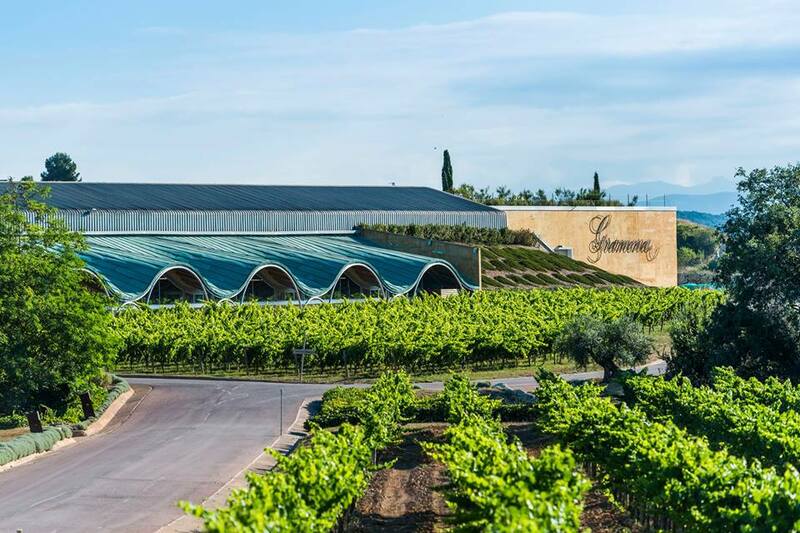 The entire forum will take place in the old bodega of top Cava producer Gramona. A unique tradition: A vertical tasting of La Rioja Alta, the famous producer of wonderful traditional Reserva and Gran Reserva wines from Rioja, presented by their winemaker Julio Saenz. They represent a truly unique style in the world of wine. Albariza: Jerez is not all about flor or solera. Jerez is also about it’s great terroir in which the unique Albariza soil plays an important role. Winemakers Joaquin Gomez and Luis Perez will show the effects of albariza through a range of Sherry and non-DO table wines, all produced in the best albariza vineyards. Abadia Retuerta, the freedom of being Vino de la Tierra: the famous Abadia Retuerta estate lies a few miles outside the DO Ribera del Duero which from the start offered the possibility to try other grape varieties and blends compared to the DO legislation. Alvaro Perez, director of the Academia del Terruño at Abadia Retuerta, will show how experimentation and great quality go hand in hand in this magnificent estate, which is to become the next DO Vino de Pago. Terra Alta is the most southern lying wine region of Catalunya. It boasts the world’s largest surface planted with Garnacha Blanca, which recently got a special position inside the DO. A number of leading producers in the area will present their Garnacha Blanca wines with a 6 course dinner in Restaurant Xerta in the center of Barcelona, owning 1 Michelin * and being run by Villa Retiro in Terra Alta (also one *). Artadi, founded in 1985, Artadi soon became one of the best producers in Rioja and therefor in Spain. But three years ago owner and winemaker Juan Carlos Lopez de Lacalle decided to leave the DOCa Rioja. He will explain in person why he did so, showing of course some of his delicious expressions of the Rioja terroir. Sierra de Gredos,in the mountainous Gredos area west of Madrid, a bunch of young winemakers laid their hands on parcels of very old Garnacha vines. Not shy of experimentation, the Gredos bodegas produce unique styles of Garnacha in which freshness and elegance are keywords. Moreover they have been striving to launch a new DO for the area, Cebreros. Microbio Wines, Winemaker Ismael Gozalo has been at the basis of Ossian, one of the best white wine producers in Spain, situated in Rueda. After he left Gozalo started his own project, Microbio Wines. Based on Verdejo, Gozalo makes totally unique and idiosyncratic wines, which could not be further away from the mass of dull acidic white wines Rueda has become synonymous for (tbc). The Spanish Wine Forum is open to anyone who loves good (Spanish) wines! The language will be English. Places are limited so participation goes on a first come first serve basis. All presentations, tastings, meals, visits as mentioned above. 6 masterclasses with tastings, visit of a Corpinnat producer, 3 x Lunch, coffee-breaks, 2 dinners including Xerta (1 Michelin * ) on Thursday evening! Transport by bus from the centre of Barcelona (see below) to and from Gramona every day! SPECIAL DISCOUNT: €100 | Book and pay before May 1st! As a special service you can book room included: 3 nights in 4 star Catalonia Plaza hotel in the centre of Barcelona, €500 for single room. Also departure point for the bus-service. VIP program on Tuesday July 2nd: Visit of top 3 wineries in the Penedès (Pares Balta, Can Rafols dels Caus, Albet I Noya) and dinner in 3 star Lasarte in Barcelona: €535 per person. Maximum 10 people! Costs of participation €1075, discounts for WSET students and early birds. Participation is only confirmed after reception of payment of the full amount.